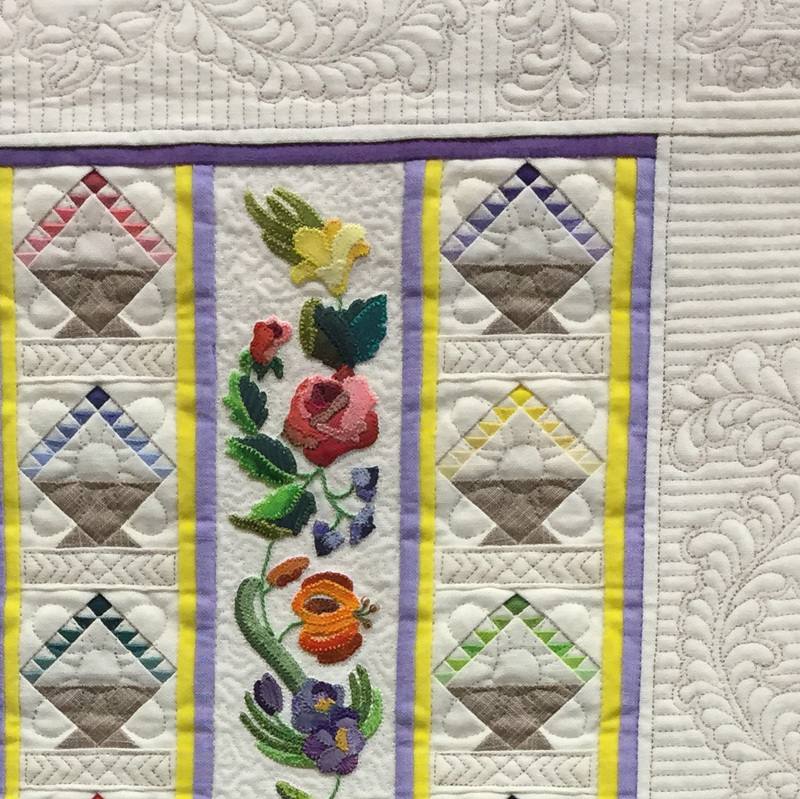 The first weekend in March the Indiana Heritage Quilt Show took place in Bloomington, Indiana. I had never been to this show, so I thought it would be fun to check it out. 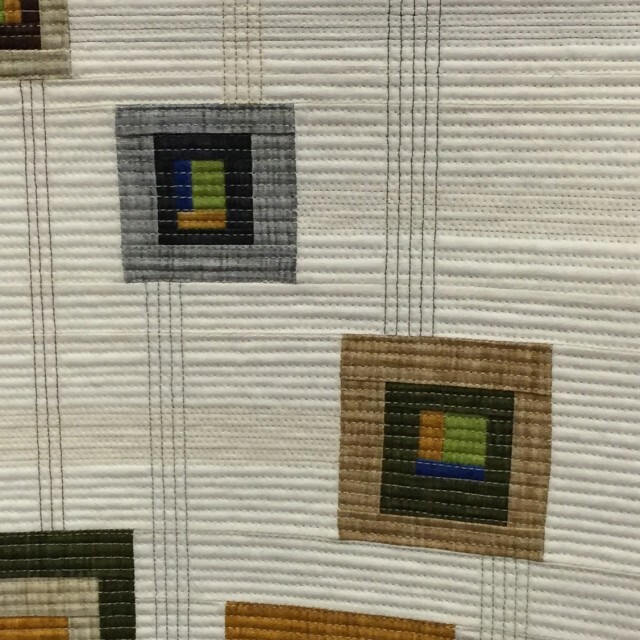 There were many impressive quilts in this show, and I thought I would share a few of my favorites with you. Today I’m showing you a few of my favorites in the small quilt category. Most of these quilts I would consider to be miniature quilts. In my mind, a miniature quilt is a small quilt with all of the detail of a large quilt scaled down, resulting in a quilt with thousands of minuscule pieces painstakingly assembled into a spectacular finished piece. I tend to think of a mini quilt (my current obsession!) as a small quilt that does not necessarily have scaled down components. 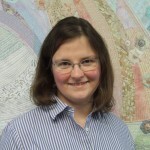 Do you make a distinction between mini and miniature quilts? I may have somehow created a distinction in my own mind that does not necessarily exist! 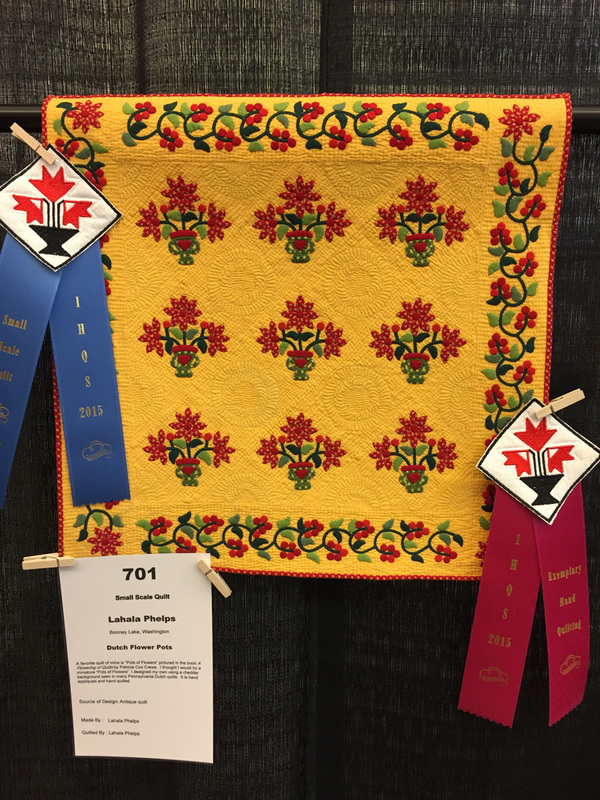 The quilt which won the first place award for small quilts also won an award for hand quilting, and definitely fits into my idea of what makes a miniature quilt. 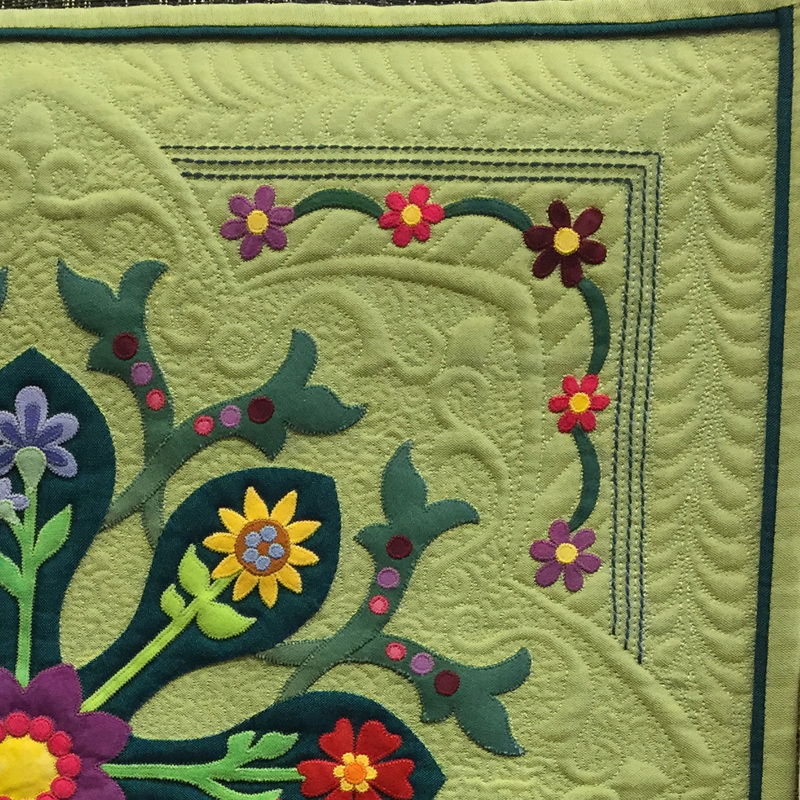 Lahana Phelps has truly beautiful hand stitching in both the appliqué and quilting of this piece. 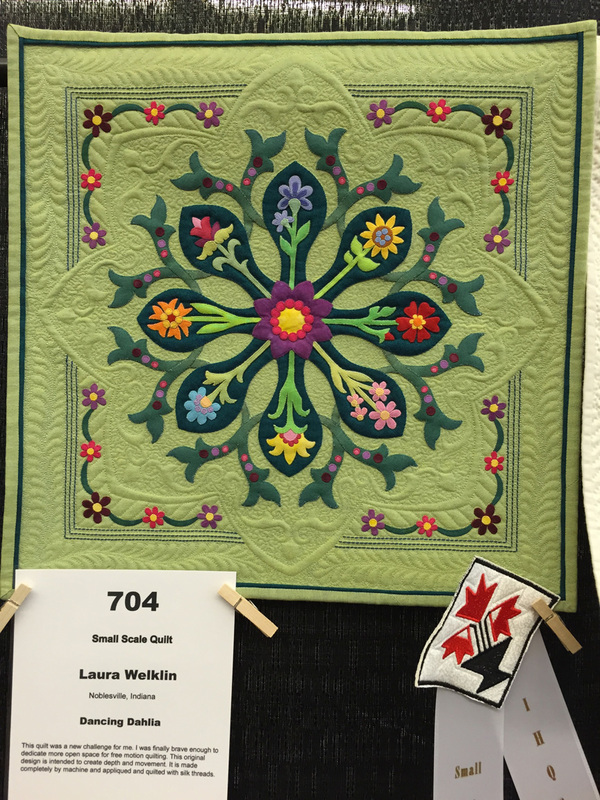 Another lovely piece of miniature appliqué is in this quilt by Laura Welklin. 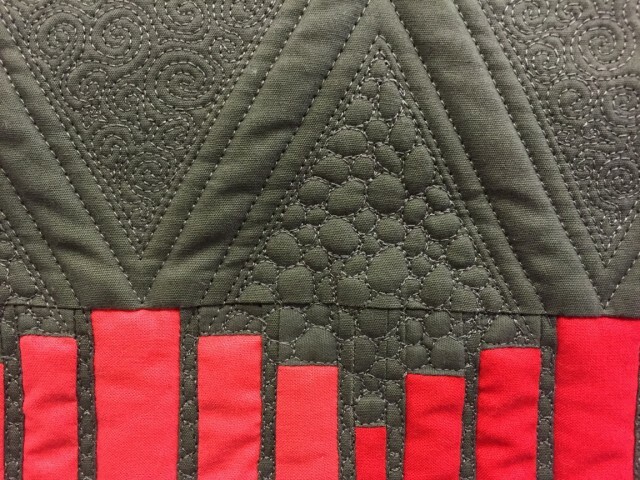 The fine detail in her appliqué and quilting is amazing and the whole quilt is set off with a tiny flanged binding. The tiny feather quilting and the minuscule piecing really caught my eye on this quilt by Mary Mouton. Can you believe that each of triangles on the basket handles were pieced? Each half square triangle is only about 1/8″ square! 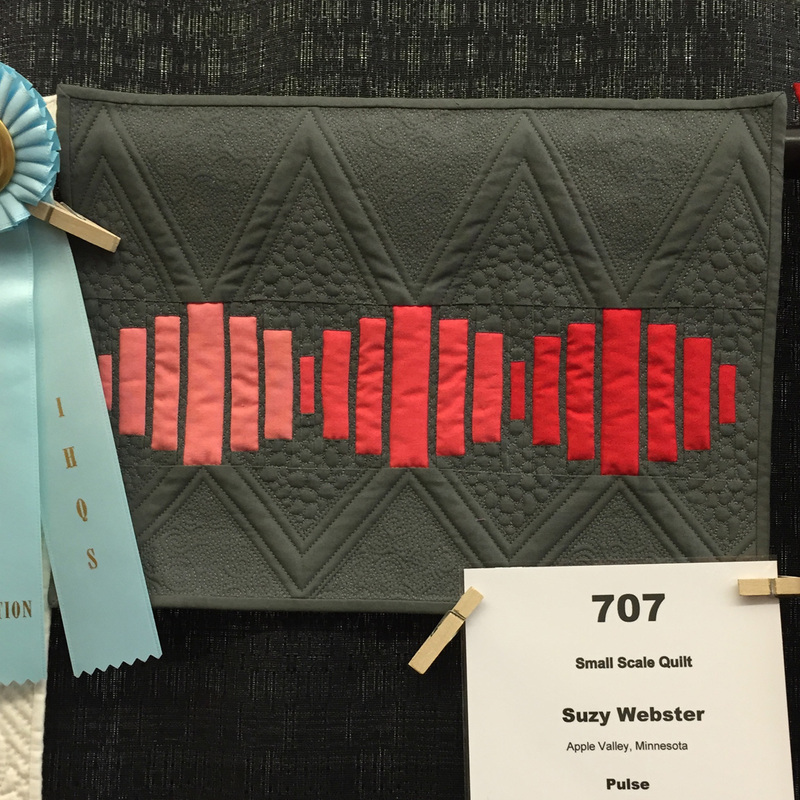 Suzy Webster made this modern mini quilt. I liked her use of negative space on this piece. The detail in her quilting really sets this quilt apart. 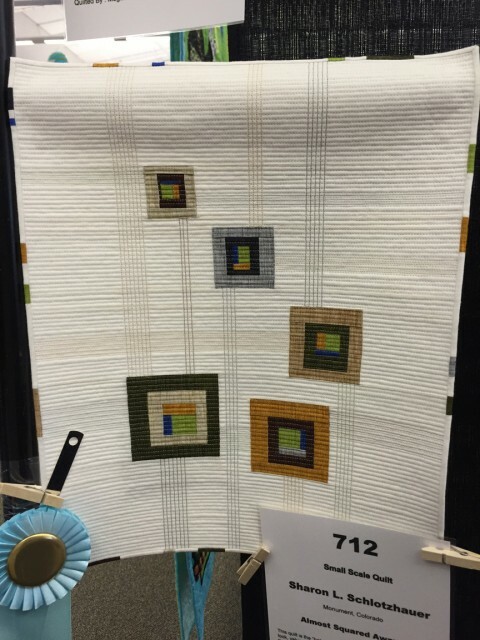 One of my favorite quilts of the day was this piece by Sharon L Schlotzhauer. 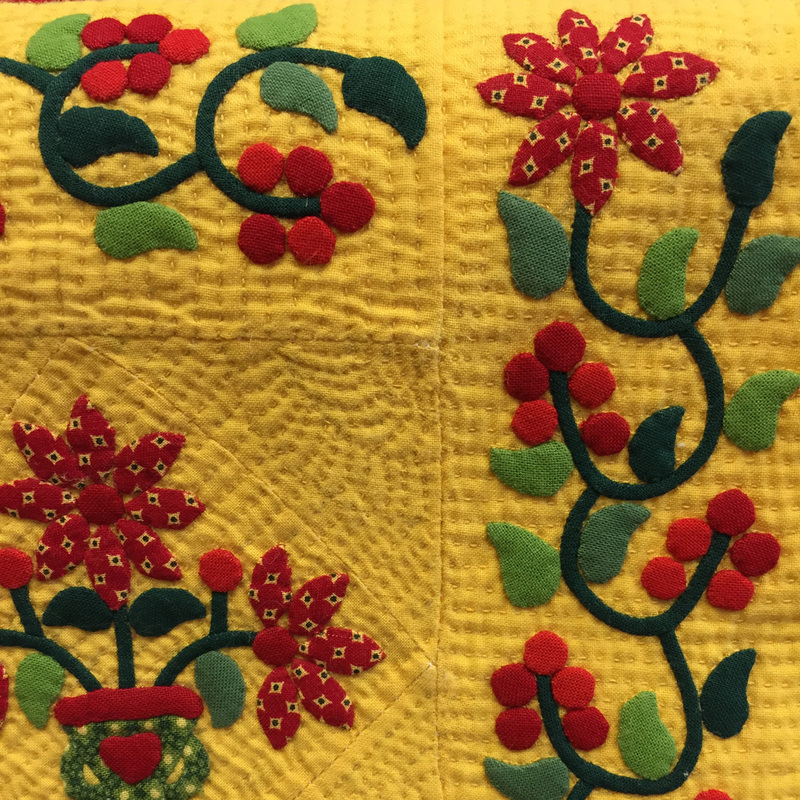 I was immediately drawn to the composition, the pieced in splashes of color in the tiny binding, and the awesome matchstick quilting. I loved how the variation in the density of the matchstick quilting really created depth and drew the viewers eye around the quilt. I really enjoyed seeing the quilts at this show, and I’m looking forward to sharing some of the larger quilts next week! I agree with your way of thinking – not every small quilt is a miniature, so it’s nice to have a way to separate them! 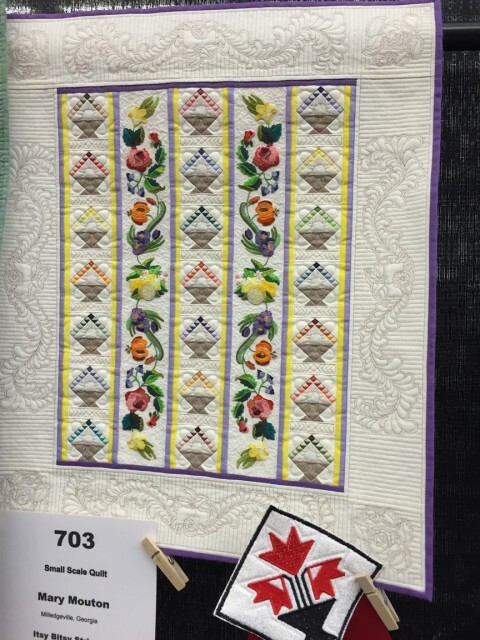 Thank you for the miniature quilt show! There is just something about a small quilt… I’m participating in the Aurifil Mini of the Month this year and I just love the patterns. Can’t wait to see the results at the end of the year.